Put a Bounce in Your Step with Alive Elixir! A raw, dark chocolate fix! 13 Superfruits from around the world! The total beauty of Alive Elixir is that it contains Sarvaa SuperFruit C! Remember those times when everything ran smoothly in your life? You felt good in your body and things got done? The effects of SuperFruit C are potent enough that, even when things get tough or out of alignment, you can rest assured that your body is firing on all cylinders because you've consumed Sarvaa's SuperFruit C either straight up on its own or in Alive Elixir on a daily basis. It's boosting your immunity, reducing inflammation (it's quite astounding how much inflammation can debilitate us from feeling "creaky" and being in pain to having brain fog), balancing your body's pH levels, and improving brain and heart health. These are just a few examples of how well our bodies respond to ingesting SuperFruit. Want the real skinny on SuperFruit? Read here. For thousands of years cultures around the world have created “tonics” that nourish and cleanse the body. Inspired by the Ayurvedic tonic, chyawanprash, Alive Elixir is a low-glycemic (very low sugar) rendition of these tonic foods with new world texture and flavor. Alive Elixir is especially unique in that it delivers exotic and common superfoods that include Sarvaa's "SuperFruit C" superfood blend. With raw dark chocolate! Carefully combining superfoods from Chinese, Ayurvedic, European, and Latin American traditions, these “Live Elixirs” are potent superfood concentrate that will provide you with the quickest and easiest way to deliver maximum nutrient content to your whole body! "Sarvaa products make my body feel so good! They are easy, fast, delicious and I can tell from how well my body feels, that these organic superfoods are loading me with the nutrients my body needs. My favorite snacks are the Alive and Strength Elixirs. So tasty, so satisfying and so nutritious!" ~ Alex P.
"When I get a chocolate craving, the very first thing I reach for is Alive Elixir. I could eat half a jar in one sitting (it's been done!). And don't get me started on how good it tastes with fresh blackberries and strawberries. Omg." ~ Najonee B. Alive Elixir is blended into a smooth chocolate paste that can be enjoyed by the spoonful, on fruit or crackers, drizzled on a healthy sorbet, and added to your favorite smoothie. We suggest starting out with 2-5 teaspoons per serving. You may feel you can increase your serving size after about a week of daily use. 2 teaspoons gives you over 100% of your RDA of Vitamin C.
Raw! Gluten-Free! Organic! Vegan! Non-GMO! Whole Food! Low-Glycemic! No Fillers or Binders! Ingredients: Premium Raw *Cacao, *Coconut Oil, Sarvaa SuperFruit C (*Acerola Cherries, *Rose Hips, *Camu Berries, *Boabab, *Goji Berries, *Amla Berries, *Blueberries, *Pomegranate, *Mangosteen, *Noni Fruit, *Schisandra Berries), *Date Fruit, *Lucuma, *Maple Sugar, *Vanilla Extract, Orsa Salt, *Monk Fruit. I always travel with these Saarva Elixir's. If I need a boost of energy I know where to go. Best ever for those desiring a delightful chocolate pick-me-up. A nice subtle "feeling better" experience. These Elixirs are ALL packed with nutrients... but also taste SO good. They are an alternative to coffee and can even help you break your addiction to caffeine. Really, it certainly did for me. Try them, you will be amazed! 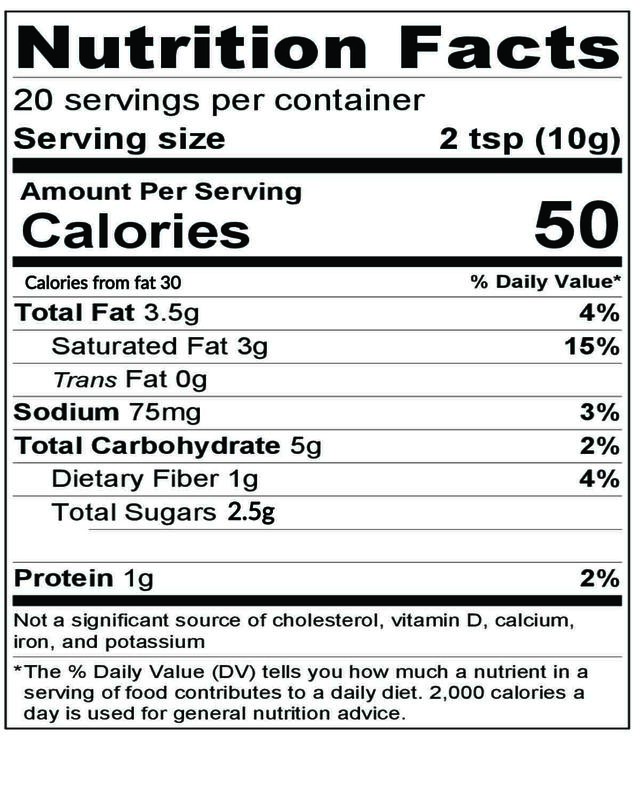 Then, read the label of hard-to-find ingredients/nutrients, all of which are organic and non GMO. It doesn't get any better! Alive Elixir seems to take you on a nice roller coaster of flavors. Its very surprising but in a good way. I carried it around my bag for a while, offering friends a spoonful when the time came and everyone would go through these crazy facial features as the elixir dissolved in their mouth but then they would all end with this big smile. The smiles that says "Wow that was good and unique". Superfruits + Cacao = WIN! Sarvaa products make my body feel so good! They are easy, fast, delicious and I can tell from how well my body feels, that these organic superfoods are loading me with the nutrients my body needs. My favorite snacks are the Alive and Strength Elixirs. So tasty, so satisfying and so nutritious! From the first day of using these products I started to feel healthier. I could feel my body cleansing itself of toxins and I had a ton more energy. Solay is the real deal. Everything in there is super high quality. Derek and his team have done tons of research to find the best superfoods out there. Thank you so much for sharing your gifts with all of us!